The Forestry Commission has appealed for more support to protect the Desiri Forest Reserve in the Ahafo Ano South district of the Brong Ahafo Region. 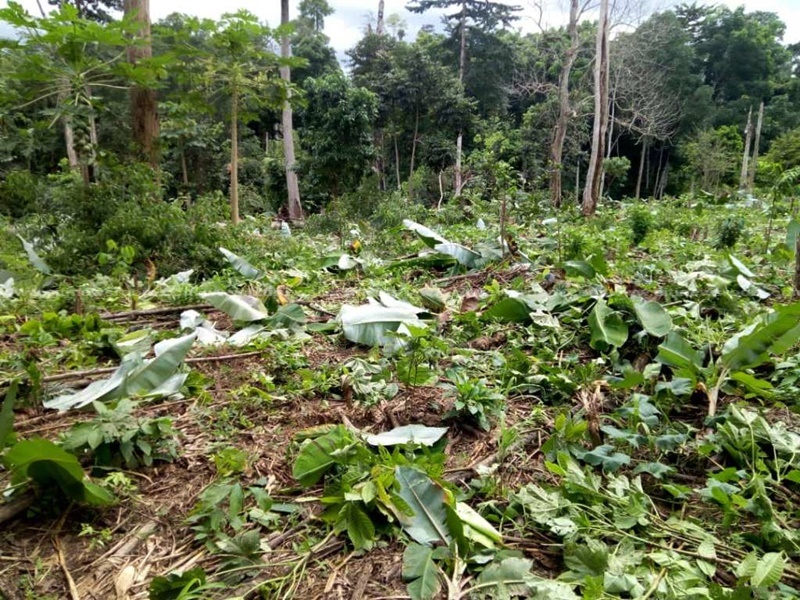 The Forest Range Manager in charge of the Desiri Forest Reserve, Palmer Aikins Anponsah, said farmers and illegal loggers present a major threat to the reserve. The reserve covers about 65.5km² and stretched from Dadiesoaba in the Asutifi South District in the Brong Ahafo Region to the Ahafo Ano South District of the Ashanti Region. But it has suffered encroachment on about 30 hectares of the reserve from farmers and illegal loggers. The commission, to check and control the level of destruction, organized a reclamation exercise on Wednesday and destroyed the illegal farms and planted 3,100 seedlings to reclaim the destroyed vegetation. Addressing the media after the exercise, Aikins Amponsah, said the commission embarked on the exercise following constant complaints from the Mankranso District office. “Our officers have been complaining bitterly of powerful well-armed people who have invaded the reserve and doing all manner of things. The Desiri forest reserve which is about 65.5km² has been taken over by some farmers and illegal loggers for their farm plantation which ends up destroying the reserve. They fell trees and convert the land to farms for cereals or cultivation of rubber”, he lamented. He, therefore, appealed to residents to collaborate with the commission to protect and preserve the reserve which has a collateral benefit for not only the area but the entire nation. 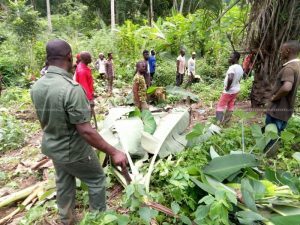 He observed, his outfit, therefore, moved in and destroyed about 30 hectares of illegal farms as directed by the Chief Executive Officer (CEO) which was against rules and regulations of the commission and planted approximately 3,100 seedlings. The Ahafo Ano District Manager of the commission, Mr. Godwin Agyemang for his part called on the government to resource his outfit to effectively and efficiently conduct surveillance of the country’s forest reserves. 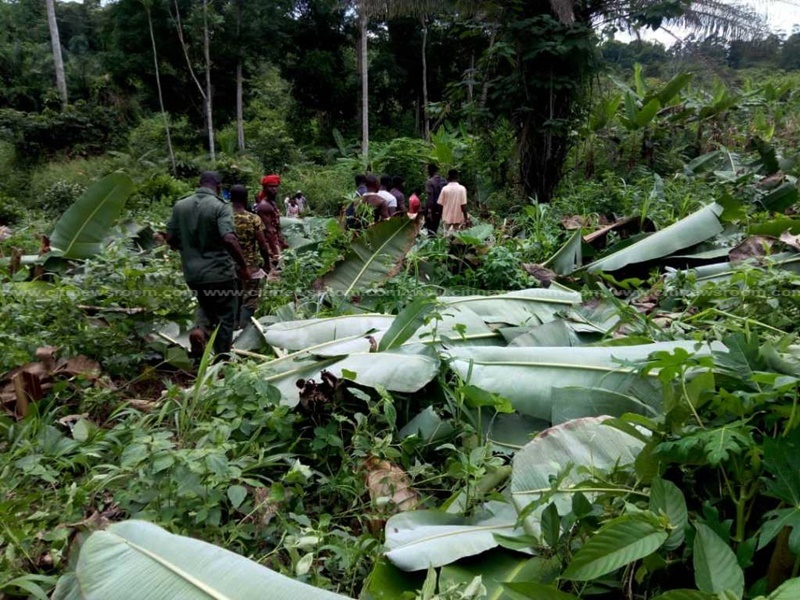 Forest reserves in the Asunafo South, Asunafo North, Asutifi North, Asutifi South, and Ahafo Ano South for a long time has been under siege by illegal loggers and farmers who with support from influential opinion leaders are destroying the reserves with impunity. This has resulted in severe economic repercussions as some people have lost their livelihood to these activities and sometimes resulted in deaths due to violent attacks on them. The post Illegal loggers, farmers ‘take over’ Desiri Forest Reserve appeared first on Citi Newsroom.